OBOR is China’s $5 Trillion, multi-decade, infrastructure spending spree that spans 60-plus countries across Asia, the Middle East, Europe, and Africa designed to increase connectivity between those continents to enhance trade flows and spur long-term regional economic growth and development, benefiting all those involved. OBOR consists of a land route with six branches (“One Belt”) running from inner China to Northern Europe and a sea route (“One Road”) connecting the port of Shanghai ultimately with the end point of the land-based route in Venice, via India and Africa. Much of this massive project such as the China-Pakistan-Economic Corridor (CPEC) is already in place and operating. OBOR is one of President XI Jinping’s pet projects. But, do risk-prone nations, questionable economics, political differences, and other factors challenge the success of China’s move for access and influence over that vast area to its west? Jim Corcoran received his Ph.D. in Modern Chinese History and MA in Asian Studies from UHM. A graduate of the U.S. Military Academy at West Point and a retired U.S. Army Colonel, Dr. Corcoran is a history professor at HPU where he also teaches International (Asian) Studies. He has lived, studied, and served in China, Japan, Taiwan, Vietnam, South Korea, Bangladesh, and Indonesia; and is a graduate of the U.S. Army War College, the U.S. Army Command and General Staff College and the Defense Language Institute (Mandarin Chinese and Bahasa Indonesia). Over the years, he has researched and written on Asian security issues, papers on China, Asia, and military history, and on issues involving security, strategy, and history of Asia relating to war, conflict resolution and diplomacy. His stay in China earlier this year revealed the great “buzz” OBOR is creating across the social, political, economic, and military spectrums. • The seminar is $20.00 for Friends of the East-West Center members, EWC and UH students and $25.00 for non-members with luncheon served after the talk. Payment may be made in advance or at the door. 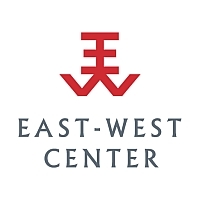 Checks should be made payable to Friends of the East-West Center. Seating is first-come, first-served at the Maple Garden Restaurant. • Please return the form below by mail or email. Reservations must reach us by noon of the day before (October 11). Changes cannot be accommodated thereafter. • No-shows please honor your reservation with payment.